Window air conditioners create small noise but for keeping most of the body outside of the house, you will not experience much noise. It cannot reduce temperature faster and more than the wall mounted air conditioner can do. Wall mounted air conditioner is both good looking and effective. On the other hand, wall mounted air conditioners are more expensive than the window air conditioner is. 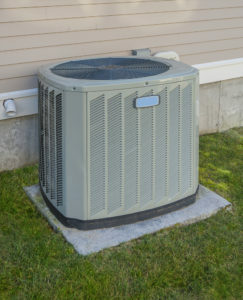 Things that you should consider before buying an air conditioner are given below. Different air conditioners have different cooling capacity. If you do not own a big apartment or a big office, you should go for a 5000 BTUs air conditioner. A 5000 BTUs air conditioner can cover 100 to 150 Sq. ft. A 5000 BTUs air conditioner cannot cover more than two small rooms. An air conditioner of 23000 BTUs can cover up to 1200 Sq. ft. indoor place. Know your needs and then choose one air conditioner to buy. For one or two small rooms, there is no need to buy more than 5000 BTUs air conditioner. More BTUs an air conditioner produces, more expensive it becomes. Where do you want to install the air conditioner? If you want to install an air conditioner out of our room then you have only one option in your hand, which is choosing window air conditioner. Most of the body of this air conditioner will stay outside. If you want to choose a “zero-noisy” air conditioner then a wall-mounted latest air conditioner is the perfect option. After knowing the required cooling capacity, you need to choose the place where you want to keep the air conditioner. Nowadays, people prefer to keep the air conditioner inside of the house and they prefer to buy an air conditioner that will control the temperature of rooms and increase the beauty of the rooms too. Nobody would like to see a huge amount of electricity bill due to running an air conditioner through the summer. Choose an energy star rated air conditioner to buy. An energy star rated air conditioner will save money more than 10% since it requires 10% less electric power. A window air conditioner is cheaper than a wall mounted air conditioner. If you do not have a big budget, you should buy one window air conditioner.